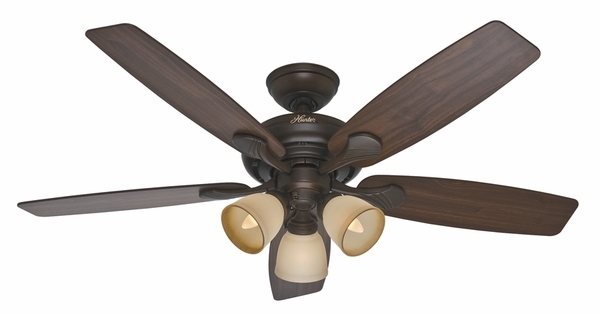 Hunter 53051 Conway Ceiling Fan with Blades and Light Kit - 52"
Home > Home Improvement > Fans > All Ceiling Fans > Hunter 53051 Conway Ceiling Fan with Blades and Light Kit - 52"
Both classic and stately, the Conway 52 inch Ceiling Fan from the Hunter Fan Company includes a total of five lovely fan blades as well as a fully functional light kit. 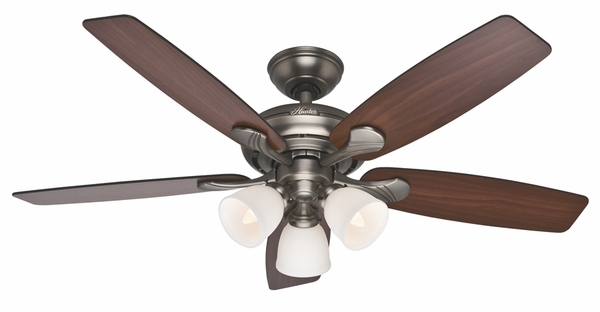 The Conway Fan is available in your choice of a cocoa finish or an antique pewter finish. The Conway's Whisper Wind Motor provides a powerful air flow without making distracting noise. Included are three 60 watt candelabra light bulbs, however, the fan can be installed without the light kit. The five fan blades have each been coated using Hunter's Dust Armor nanotechnology to repel up to 58 percent of dust build up.